Advocates For Freedom (AFF) is a faith-based organization dedicated to ending the exploitation, sale and enslavement of men, women and children. 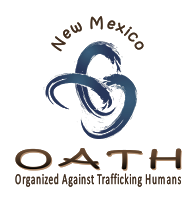 We provide resources, education and training to bring awareness about human trafficking. AFF is bringing awareness to the MS Gulf Coast of the problem of human trafficking. We are working with others throughout the law enforcement, business, government, education, medical, media/arts, non-profit and faith communities (among others) to help victims and end this modern form of slavery. AFF wants to inspire the public to “look beneath the surface” and help find a solution to end human trafficking, locally and abroad. AFF is initially focused on meeting a victim’s need for shelter and protection.Then, collaborating with others AFF is creating plans for hope and healing to bring total restoration to victims’ lives.